These are the Indoor Pools in Indiana other users have reported. Are you a local and your pool is not listed? Contact us to ADD IT. It's free! Please, use the contact information supplied at every pool profile. Please check the nearest Swimming Pools or Contact us to ADD IT. It's free of charge! Looking for Indoor Pools in Indiana? Many of them belong to gyms or sport centers which also supply lessons. Regular users told us the most crucial point of swimming is always to control your breathing. To acquire this, our head will need to be aligned with our spine all the time. If you will be visiting Indiana make sure you know the rules and regulation for swimming as they may not be the identical as in your residence town. Swimming is often a excellent thought to keep your body active throughout your visit to Hammond (Indiana), or even for anybody who is a local. Swimia helps you to find your closest Swimming Pool in Hammond. Holding an estimated population of 80.405, Bloomington is among the most important cities in Indiana. Check all the Swimming Pool in Bloomington and its surrounding area. Without a shadow of a doubt, swimming in Indianapolis is the best approach to unwind immediately after work. 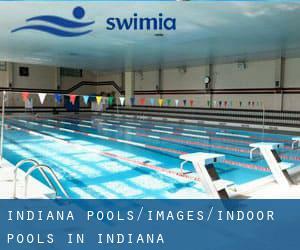 Take a couple of minutes to browse Swimia's catalog to find a Swimming Pool in Indianapolis. Let us tell you a secret to switch off although you might be in Evansville: just pick a Pool in Evansville and plunge into the water! There's no even more helpful method. It's hard to visit Indiana without having dropping by South Bend (with 101.168 residents). Currently Swimia is showing you all the Swimming Pool in South Bend as well as the closest pools located in its vicinity. Updated on 2019 College of Health and Human Performance Building , 601 North 6th Street , Terre Haute , IN , USA (Postal Code: 47809). This sports center offers indoors. For this Swimming Pool, only phone number is number here. Updated on 2019 1350 SR 15 S , Warsaw , IN , USA (Postal Code: 46581). This sports center offers 25 yards, 8 lanes, Indoors. Contact details for this Swimming Pool just like phone number and email address are number. Updated on 2019 520 East Main Street - Entrance 21 , Carmel , IN , USA (Postal Code: 46032). Swimmers like you reported Olympic size x 25 yards, 15 (25 yards) lanes, Indoors. Phone number and e-mail address are number for this Swimming Pool. Updated on 2019 902 N. Market St. , North Manchester , IN , USA (Postal Code: 46962). This sports center offers 25 yards, 6 lanes, Indoors. Contact information for this Swimming Pool such as phone number and email address are number. Updated on 2019 In the basement of the Student Union Buildig , Terre Haute , IN , USA (Postal Code: 47809). This sports center provides indoors. For this Swimming Pool, only phone number is number here. Updated on 2019 Crawfordsville High School , 1 Athenian Dr. , Crawfordsville , IN , USA (Postal Code: 47933). This sports center offers Olympic size x 25 yards, 8 x 14 lanes, Indoors. For this Swimming Pool, only phone number is number here. Updated on 2019 555 Tennis Lane , Evansville , IN , USA (Postal Code: 47715). Swimmers like you reported 25 meters x 75 feet, 6 lanes, Indoor/Outdoor. Unfortunately we do not have the email address of this Pool, but we can give you the phone number. Updated on 2019 5736 Lee Road , Indianapolis , IN , USA (Postal Code: 46216). Few days ago a regular user of this center told us they offer 25 yards, 6 lanes, Indoors. Furthermore, they keep in good conditions 25 yards, 6 lanes, Indoors. For this Swimming Pool, only phone number is number here. Updated on 2019 8400 Westfield Blvd. , Indianapolis , IN , USA (Postal Code: 46240). Swimmers like you reported 25 yards x 40 feet, 5 lanes, Indoors. Unfortunately we do not have the email address of this Swimming Pool, but we can give you the phone number. Updated on 2019 7900 S. Shelby St. , Indianapolis , IN , USA (Postal Code: 46227). Swimmers like you reported 25 yards, 4 lanes, Indoors. Unfortunately we do not have the email address of this Swimming Pool, but we can give you the phone number. Updated on 2019 558 Indian Boundary Road , Chesterton , IN , USA (Postal Code: 46304). Among all the activities offered by the center, in case you are keen on swimming you will enjoy 50 feet, Indoors. Just in case you need to make contact with this Swimming Pool just before dropping by, we only know the phone number. Updated on 2019 501 N. Shortridge Rd. , Indianapolis , IN , USA (Postal Code: 46219). Swimmers like you reported 20 yards x 30 feet, 4 lanes, Indoors. Unfortunately we do not have the email address of this Swimming Pool, but we can give you the phone number. Updated on 2019 South Side High School , 3601 S. Calhoun St. , Fort Wayne , IN , USA (Postal Code: 46807). Swimmers like you reported Olympic size x 25 yards, 8 x 23 lanes, 4 feet - 12.5 feet depth, Indoors. Phone number and e-mail address are number for this Swimming Pool. Updated on 2019 4509 Homestead Rd. , Aboite Township , Fort Wayne , IN , USA (Postal Code: 46804). Among all the activities provided by the center, if you are considering swimming you might take pleasure in 25 yards x 20 yards, 8 lanes, Indoors. Just in case you need to make contact with this Swimming Pool just before dropping by, we only know the phone number. Updated on 2019 810 Michael Drive , Chesterton , IN , USA (Postal Code: 46304). Swimmers like you reported 25 meters, 4 lanes, Indoors. Unfortunately we do not have the email address of this Swimming Pool, but we can give you the phone number.